Our program is subject to change. Speakers have confirmed their intent to participate; however, scheduling conflicts may arise. Each speaker will deliver four different 60- to 90-minute talks. 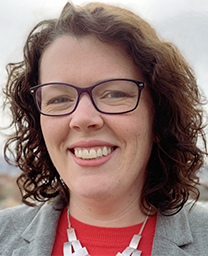 Who better to experience the December 14, 2020 TSE with than Kelly Beatty, S&T’s Senior Editor? Join Kelly for S&T’s South American and Antarctica eclipse adventure. He’ll discuss solar eclipses, brief us (regularly! ), on local weather prospects and eclipse-day logistics, and share advice for seeing the eclipse successfully. Kelly has helped lead S&T eclipse tours since 1991. He’s experienced totality 12 times — including three each from aboard ships and on airplanes. Kelly has been explaining the science and wonder of astronomy to the public since 1974. An award-winning writer and communicator, he continues to specialize in planetary science and space exploration as Senior Contributing Editor for Sky & Telescope magazine. 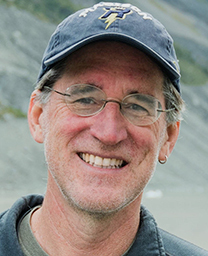 Kelly enjoys sharing his passion for astronomy with a wide spectrum of audiences, from children to professional astronomers, and you’ll occasionally hear his interviews and guest commentaries on National Public Radio and The Weather Channel. John M. Grunsfeld, Ph.D. is an astronaut and scientist with extensive experience as a leader in space and science missions and national space policy. He has served as a NASA astronaut, the Associate Administrator for Science, and Chief Scientist at NASA Headquarters in Washington, D.C. His responsibilities included a $5.6 billion portfolio of Earth Science, Astrophysics, Planetary Science, Heliophysics, the James Webb Space Telescope, and the NOAA weather satellite program. Previously he served as the Deputy Director of the Space Telescope Science Institute in Baltimore, managing the science program for the Hubble Space Telescope and the forthcoming James Webb Space Telescope. Grunsfeld’s scientific research is in the emerging field of exoplanet studies with specific interest in future astronomical instrumentation, and the search for life beyond Earth. Grunsfeld is also an avid explorer, enjoying mountaineering, sailing, and flying small aircraft. 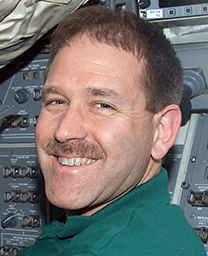 Grunsfeld joined the NASA Astronaut Corps in 1992. He is veteran of five space shuttle flights, including three flights to the Hubble Space Telescope. 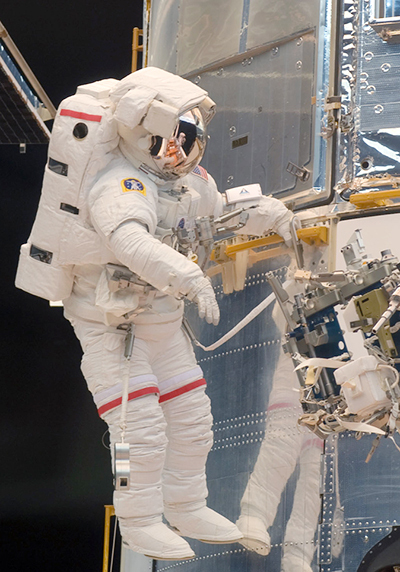 He performed eight spacewalks to service and upgrade the Hubble observatory. He has logged more than 58 days in space on his shuttle missions, including 58 hours and 30 minutes of spacewalk time. In 2004 and 2005, he served as the commander and science officer on the backup crew for Expedition 13 to the International Space Station. Dr. Grunsfeld graduated from the Massachusetts Institute of Technology in 1980 with a bachelor’s degree in physics. He earned a master’s degree and, in 1988, a doctorate in physics from the University of Chicago. From Chicago, he joined the faculty of the California Institute of Technology as a Senior Research Fellow in Physics, Mathematics and Astronomy. After his astronaut career he was appointed a Professor of Physics at the Johns Hopkins University in 2010. His experience and skill in leading NASA science, developing plans and architectures for future programs, systems engineering skills, as a STEM education pathfinder, extensive experience in human spaceflight, and international affairs, make him unique in the world (and off) as a national leader and strategist. 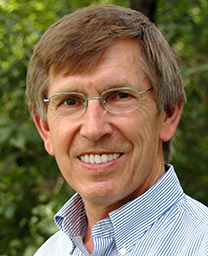 Chris Impey, Ph.D. is a University Distinguished Professor. For 17 years he was Deputy Head of the Astronomy Department at the University of Arizona, and he is currently Associate Dean of the College of Science. He has over 200 refereed publications and 70 conference proceedings in astronomy, and 70 publications on educational topics. His work has been supported by $20 million in grants from NASA and the NSF. As a professor, he has won eleven teaching awards, and has been heavily involved in curriculum and instructional technology development. He has mentored 30 graduate students and 230 undergraduates. 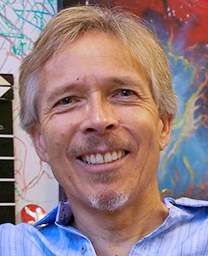 Chris Impey is a past Vice President of the American Astronomical Society. He has also been an NSF Distinguished Teaching Scholar, a Phi Beta Kappa Visiting Scholar, and Carnegie Council on Teaching’s Arizona Professor of the Year. He was a co-chair of the Education and Public Outreach Study Group for the 2010 Decadal Survey of the National Academy of Sciences. In 2009 he was elected Fellow of the American Association for the Advancement of Science, and in 2014 he was the first astronomer named a Howard Hughes Medical Institute Professor. Professor Impey aims to convey the excitement of astronomy in as many ways as possible to a large public audience. He gives 20 public talks a year, to audiences as large as 5,000 and as varied as NASA engineers, first graders, and judges of the Ninth Circuit Court. For a decade, he has traveled to India to teach Buddhist monks in a program started by the Dalai Lama. He designed and led three tours for donors and alumni of landmarks of science and culture: Visiting Galileo’s Italy, Exploring Chile: Earth and Sky, and Britain in the Golden Age of Science. He has written over forty popular articles on cosmology and astrobiology and co-authored two introductory textbooks. He has published eight trade science books: The Living Cosmos (2007, Random House), How It Ends (2010, W.W. Norton), How It Began (2012, W.W. Norton), Talking About Life (2010, Cambridge), Dreams of Other Worlds (2013, Princeton), Humble Before the Void (2014, Templeton), Beyond (2015, W.W. Norton), and Einstein’s Monsters (2018, W.W. Norton). His first novel, Shadow World, was published in 2013. His Teach Astronomy web site has had over two million unique visitors, and his YouTube lectures and videos have over half a million views. He has surveyed over 22,000 college students and members of the general public on their science literacy and attitudes towards science. About 180,000 adults from 160 countries have enrolled in his three Massive Open Online Classes (MOOCs), watching over two million minutes of video lectures since 2013. Dr. Claire Raftery is the Director of Education, Public Outreach (EPO) and Communications at the National Solar Observatory (NSO). Based at NSO Headquarters in Boulder, Colorado, she leads a team that specializes in bringing the excitement and wonder of solar science to the world. Born in Ireland, Dr. Raftery received her undergraduate and doctoral degrees at the famous Trinity College Dublin. She began her research career investigating the relationship between solar flares, and on spectral diagnostics of the heating caused during solar flares. Following graduation, Dr. Raftery took a research post at the prestigious University of California Berkeley’s Space Sciences Laboratory, where she was a member of the team responsible for the NASA satellite mission, RHESSI (the Ramaty High Energy Solar Spectroscopic Imager) — a high-energy X-ray imaging spectrometer. Although Raftery has always been focused on scientific endeavors, she has had an interest and aptitude for education and engagement from an early age. During graduate school she worked both as a teacher in a special education after school program, teaching physics and mathematics to students with dyslexia, and as an explainer in the “Science Gallery” — an innovative science-art gallery space in Dublin. During her time at CU Berkeley, Dr. Raftery began to further explore the field of Education and Public Outreach, taking on the mantle of Project Manager for NASA’s Mars Atmosphere and Volatile Evolution (MAVEN) and EPO Lead for the upcoming Ionospheric Connection Explorer (NASA/ICON). She also played a critical role in establishing the education programs for the Emirates Mars Mission (EMM, now called the Hope Probe) with the United Arab Emirates. Dr. Raftery stepped into the role of Director of Education and Outreach for NSO in 2016, and has been leading her team in communicating and educating the general public in the exciting solar physics research conducted by NSO since then. Dr. Raftery’s detailed understanding of the scientific research, coupled with her ability to translate complex science into digestible concepts has enabled her and her team to lift the lid on solar magnetism, the solar atmosphere, and many other topics. Dr. Raftery and her team have been primarily supporting the building and development of NSF’s Daniel K. Inouye Solar Telescope (DKIST) — the largest solar telescope in the world — which has produced solar images, the likes of which have never been seen before. Dr. Raftery played a key role in the preparation for the 2017 “Great American Eclipse”, leading her team at NSO in explaining the science behind eclipses, what we can actually see during an eclipse, and how eclipses feed our understanding of the Sun. She is excited to share her knowledge and understanding of these extraordinary events during our cruise. During her spare time, Raftery has a broad range of hobbies covering everything from playing the bagpipes, to building furniture, and from Tunisian crochet, to being a private pilot. Living in Colorado, she of course loves to spend time in the mountains, hiking and attempting to ski.